WordPress is second to none for being able to edit your websites content and one of it’s benefits is the WordPress community and wealth of knowledge available. However for some the amount of information can be overwhelming, especially for those that just want a simple guide so they can edit their site’s content, such as updating their pages or writing a new blog post every now and then. Whether you’ve created a WordPress website or have been handed one from a developer it’s important that you and your team are empowered to get the most out of it, so you can edit and create new content for your audience that represents you and your brand as you grow. Perhaps you haven’t edited your site in a while and you need a refresher, or you have a new team member that needs bringing up to speed with WordPress to enable them to manage your websites content. By having a go-to resource you can be confident in knowing that you and your team have got the tools to keep your website fresh and relevant, which in turn gives your audience the latest information they need. 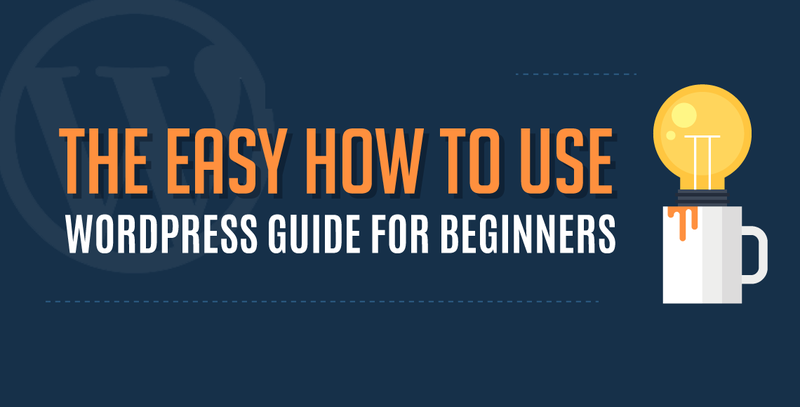 This WordPress guide for beginners also doubles up as a resource for web developers to give their clients as a form of training. As it’s not always possible for developers and their clients to meet in person for hands-on training, this simple and easy to read WordPress guide can help developers to get their clients up to speed with a shiny new content management system, which enables clients to learn how to use their new WordPress website and it gives them something to refer to in the future.